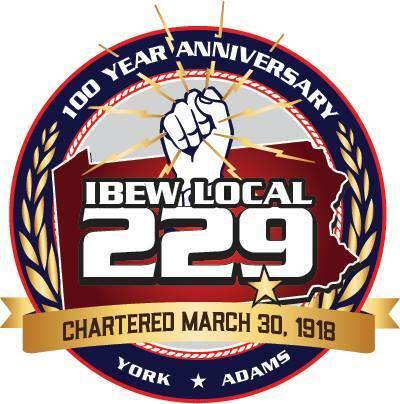 The International Brotherhood of Electrical Workers (IBEW) represents approximately 750,000 members who work in a wide variety of fields, including utilities, construction telecommunications, broadcasting, manufacturing, railroads and government. The IBEW has members in both the United States and Canada. The National Electrical Benefit Fund and the National Electrical Annuity Plan were established to provide for the future financial security of organized electrical workers. The National Electrical Benefit Fund is a multi-employed, defined benefit plan. A Defined Benefit Plan provides benefits, after retirement, from a trust or other separately maintained fund. Benefits amounts are unique to each plan. The National Electrical Contractors Association is the voice of the electrical contracting industry, working to promote higher standards, quality workmanship and training for a skilled workforce. NECA’s national office and 120 local chapters advance the electrical contracting industry through advocacy, education, research, and standards development. NECA celebrated its 100th anniversary in 2001. NECA is dedicated to enhancing the industry through continuing education, labor relations, current information and promotional activities. Created in 1908, the BCTD has helped its 11 affiliated building trades unions to make job sites safer, deliver apprenticeship and journey-level training, organize new workers, support legislation that affects working families, and assist in securing improved wages, hours and working conditions through collective bargaining. It has 386 state, local and provincial councils in the United States and Canada. In addition, the BCTD works to resolve jurisdictional disputes within the construction trades and builds solidarity by encouraging the formation of local building trades councils. The mission of the AFL-CIO is to improve the lives of working families—to bring economic justice to the workplace and social justice to our nation. To accomplish this mission, they state their goals as follows: We will build and change the American labor movement. We will build a broad movement of American workers by organizing workers into unions. We will build a strong political voice for workers in our nation. We will change our unions to provide a new voice to workers in a changing economy. We will change our labor movement by creating a new voice for workers in our communities.